Size 12.7mm x 25 metres. 5 rolls per pack of 5 metre. Developed especially for the gas industry. 33% thicker than standard PTFE tape. Confirms to BS751/1/2/3 type gases. 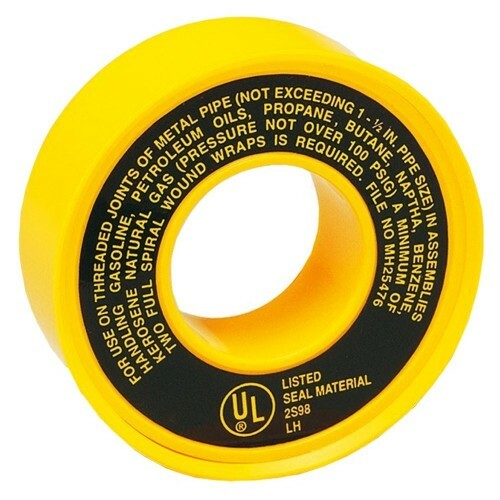 Can be used on natural gas, town gas and LPG.